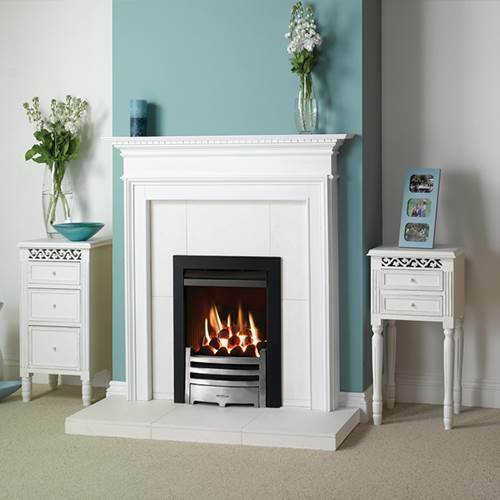 Our inset gas fires are built to fit the cavity of a standard chimney. Because they typically require little or no building work to accomodate installation, insets are usually the cheapest and simplest gas fires to set up. Nexus offer a great selection of inset gas fires online and in our showroom. Visit us to see insets in a range of traditional and contemporary styles, and a choice of fuel bed effects and finishes including chrome, black and brass. You're sure to find one that's perfect for your home. True inset fires are designed for chimney installation only. However, we also supply a range of similar fires (balanced flue or flueless models) that can be installed in a 'false' chimneybreast or other wall-space.